With the launch of this new site I wanted to give new subscribers the opportunity to read some of my work but the new site is very bare of stories. I could have copied over my old stories but to be honest that seemed a bit too much work. So I had the thought that I’d create a wee book of stories from old work. The bulk of this work was published in 2014 for Sirens Call eZine, an online horror magazine. Of course with Scrivener creating the book was a doddle, or the ePub version was. Had a bit of random hassle with creating a kindle version but with a lot of cursing, multiple downloads and blood sacrifices I got that to work also. One problem, I needed a cover. I had taken a few photos for Horror Bites and looked through them for one that might work for a book cover and then got stumped. How would I get the title and my name on it. I didn’t want to short change anyone as just because a book is free doesn’t mean it should look cheap. We do have in the household a great art and design app on the computer but I have no clue how it works – to be fair I don’t care either, design has never been my strong point. My son on the other hand is a whizz. So I sent him a couple of photos and told him to get on with it. My boy is a star, a couple of really excellent covers were created. Ok maybe not in some peoples eyes the same quality or standard as mainstream publishers, but compared to some covers I’ve seen they look professional and more importantly I loved them. The cover I chose meant the title had to be changed and so Nightmare Journey was created. Feel free to download your free copy and I hope you enjoy them. 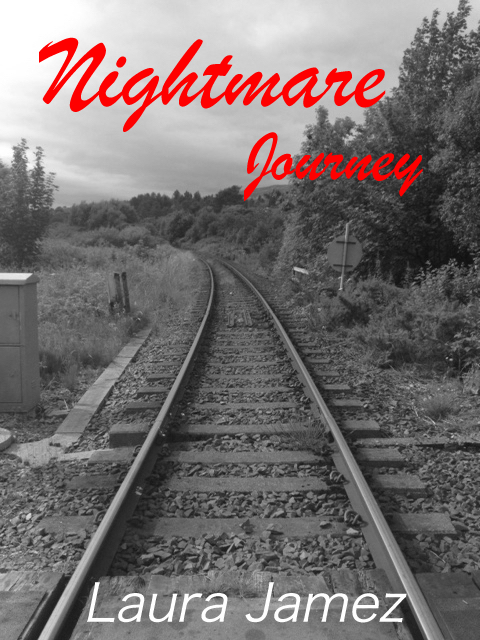 I plan on working on more stories and of course with Horror Bites I will be sharing more of my shorter work on this site.